On this page I describe the construction of flat EH antenna for 3,6 MHz band (80 metres). I also briefly discuss comparative on-air tests between the flat EH antenna and the cylindrical EH antenna cylindrical EH antenna were conducted, including in the air. 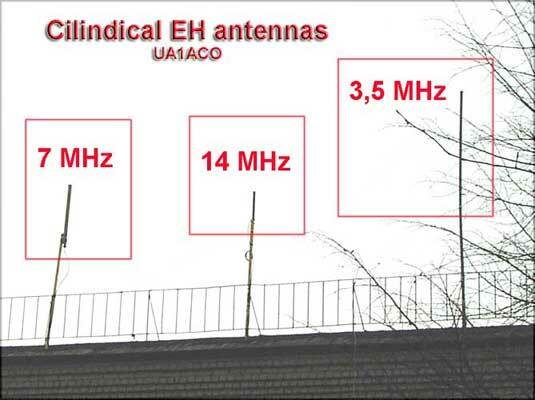 The two major advantages in constructing EH antennas are their relatively small size and transmit/receive characteristics relative to a dipole..
Mid-band frequency – 3.6 MHz. 1-th size 750/3,14=240 mm. (diameter virtual). 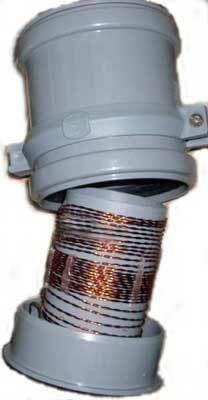 Tuning coil diameter - 75 mm. Tuning coil winding steps of 2,4 mm. Pic.1 Flat EH antenna on 3,6 MHz band (scrinshot of calculation). 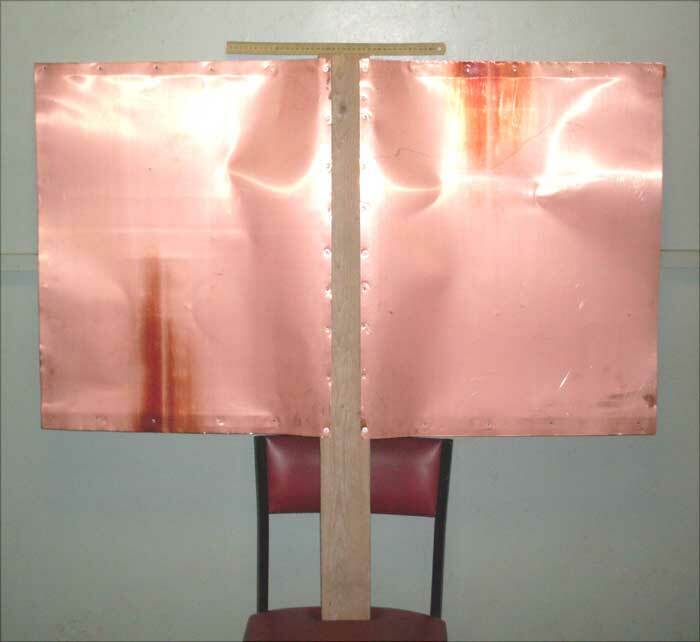 Pic.2 Flat EH antenna on 3,6 MHz band (construction). The next step is to discuss how to construct the tuning coil. You will need a polypropylene waste pipe with a diameter of 75 mm by 150 mm long to act as a former for the tuning coil wiring. . Approximately 30 turns of twisted wire around the coil is needed. This equates to between 2-3 coils per centimetre, (but this is not critical). With reference to Pic.2, tuning is easier if you loosely coil the first 3 – 4 turns at the top and bottom of the tuning coil. At the tuning stage you will be compressing or lengthening the coil turns at the top and bottom of the tuning coil for resonance, VSWR and maximum field strength. At a later stage of construction you will need to ‘tap’ the centre wire from your SO239 connector onto the tuning coil approximately 4 turns from the bottom of the tuning coil. 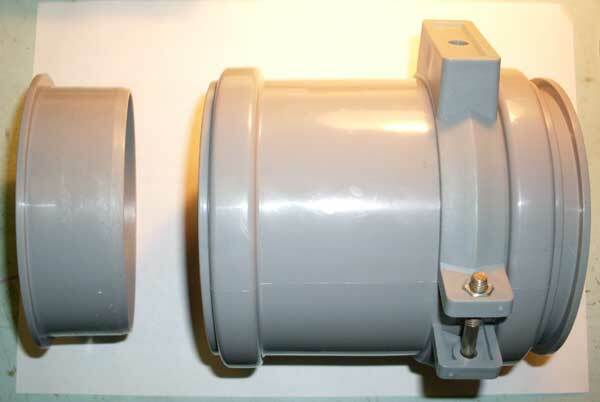 The constructed tuning coil is then placed in a sanitary engineering muff with a diameter of 110 mm, preferably using a muff that is closed at both ends. Drill two holes at the top end of the tuning coil muff end so that you can connect the top of the tuning coil wire to one side of the copper plates and another wire goes through the other hole (this wire is from the base of the tuning coil). Drill another hole in the bottom muff cover so that the centre wire from an HF connector (i.e. SO-239) can connect approximately 4 turns from the bottom of the tuning coil (see Pic.2).. Please note that a ground wire is connected at the base of the tuning coil to the ‘ground’ side of the SO239 connector. 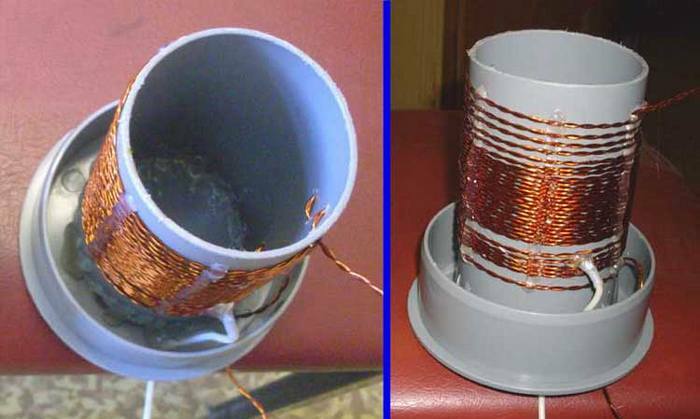 Following the physical attachment of wires between the tuning coil, copper plates and SO239 and noting that the initial tuning ‘tap’ from the SO239 central wire is 4 turns from the bottom of the tuning coil, the next stage is to tune the antenna. Tuning is discussed in more detail on my TUNING page but for now, by compressing and moving apart the coils (either at the bottom or top of the tuning coil) we are looking for the point of maximum field strength and minimum VSWR at mid-band. 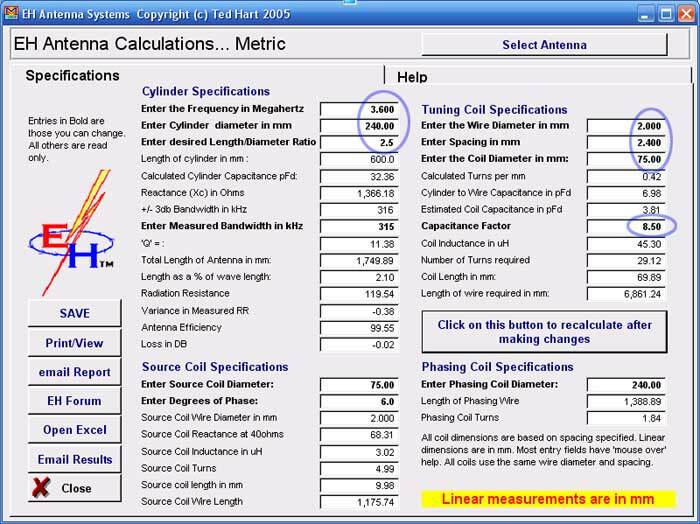 The screenshot below gives you a visual idea of antenna parameters following tuning using a MiniVNA (Pic.7). 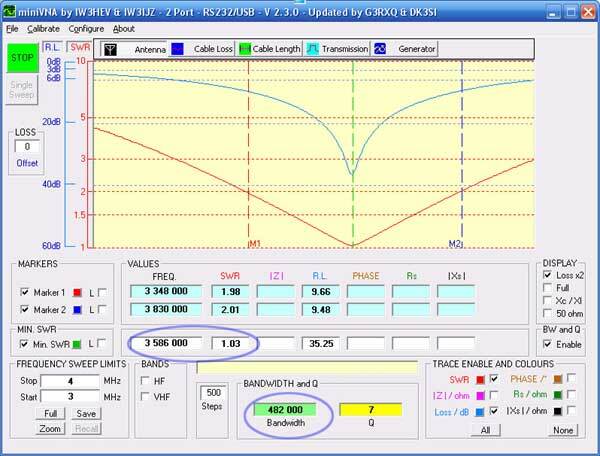 Pic.7 Description of the adjusted flat EH antenna on 3,6 MHz band. Pic.8 Description of the adjusted flat EH antenna on a 3,6 Mhz band. As visible from the pictures of Pic.7 and Pic.8, the SWR bandwidths are good i.e. 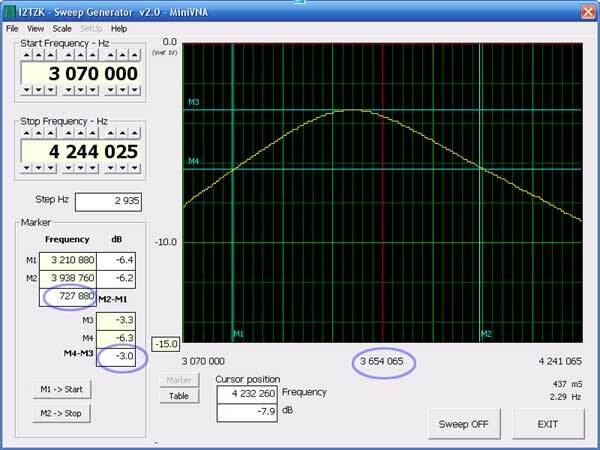 482 KHz with SWR <2:1 and 727,88 KHz plus or minus 3 dB, from its central frequency of 3,586 MHz. Pic.9 Flat EH antenna on 3,6 MHz (left) and cylinducal EH 3,5 MHz (right) on the roof. (8 meters up from the ground). I carried out a number of on-air comparisons between the flat and cylindrical EH antennas, mostly PSK-31 with an output power of approximately 35 watts. I found very little difference in signal strengths between the two. 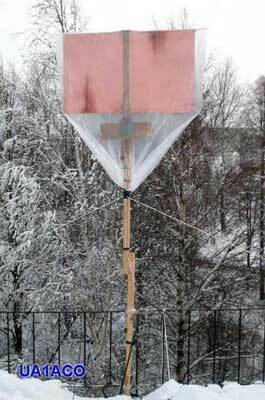 The construction of a flat EH antenna for 160-metres can be found here.